26 December 2018 / by W.P. If anyone is serious about electronics, eventually you will want to invest in tools beyond a soldering iron. At some point, through-hole components won’t be enough. 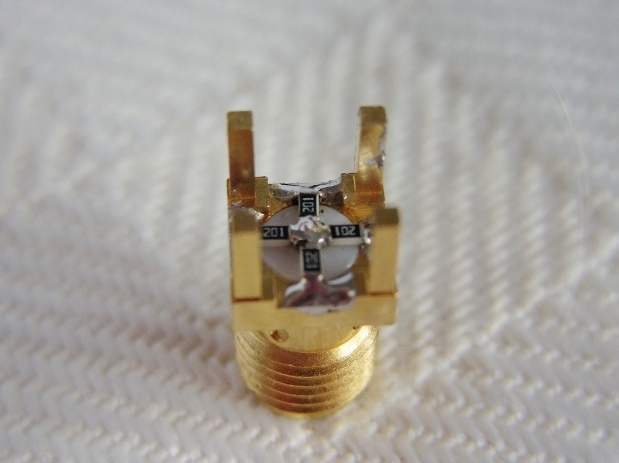 So, how do you solder SMD components? My current choice is to use a Hot-Air Rework Station – 303D. You can tin the pads with a conventional soldering iron, or use solder paste. Then place the component using tweezers, hold the component and heat the solder until it melts. I’ve also used the rework station to remove components when they need to be replaced, or to touch up solder joints that looked questionable. You can read more at the tutorial from SparkFun. The breakout board above for the Decawave DWM1000 was designed by Wayne Holder and assembled for me by a friend using the Hot-Air Rework Station. 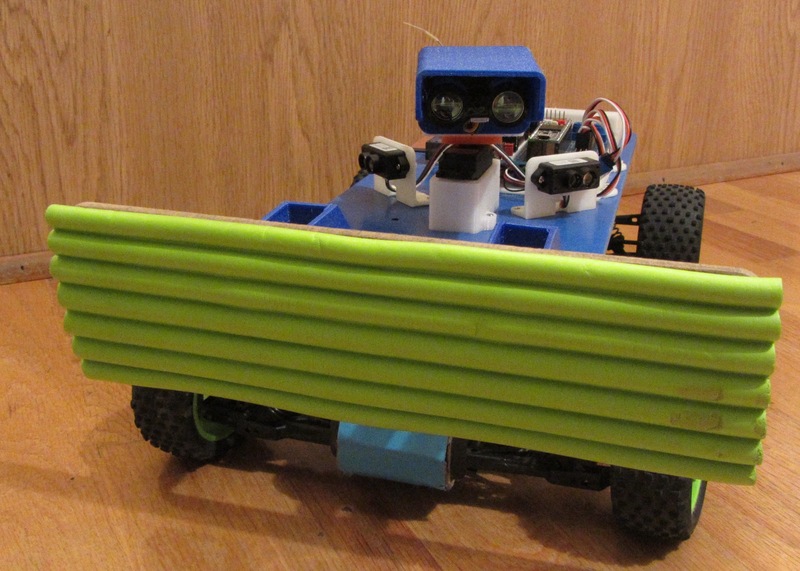 The above image is of Ted Meyers’s rover Daisy Rover. He is using a LiDAR Lite attached to a servo, and two TFMinis for side coverage. The servo has been modified to provide position feedback, and a protective visor was added to block direct sun from the sensor. You can read all about the LiDAR Lite at this tutorial. 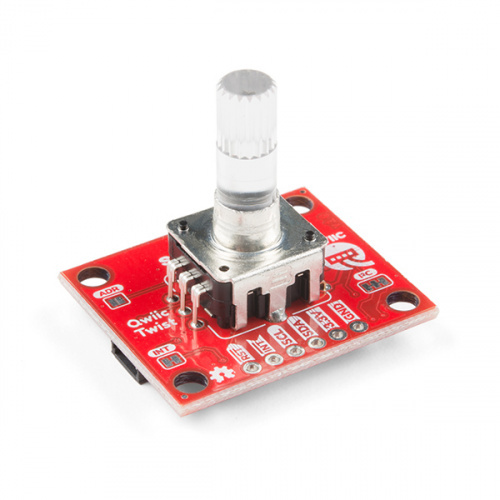 The SparkFun Qwiic Twist is a digital RGB rotary encoder breakout that is also able to connect to our Qwiic Connect System. 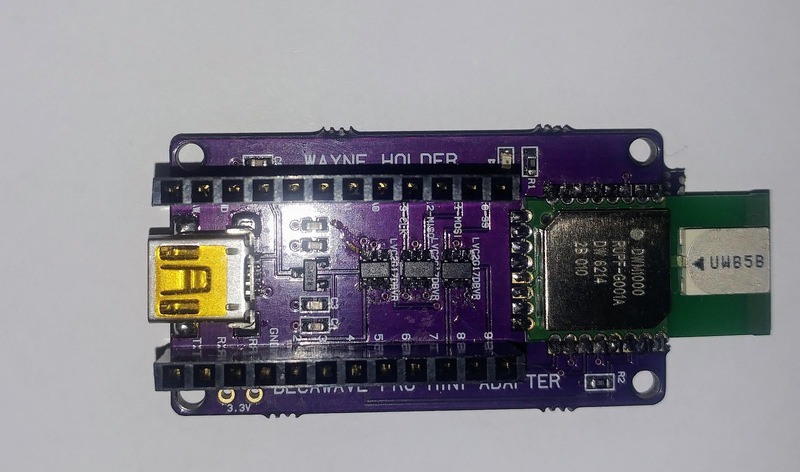 The Twist takes care of all the various interrupts, switches and PWM’ing of LEDs, and presents all those features over an easy-to-use I2C interface. 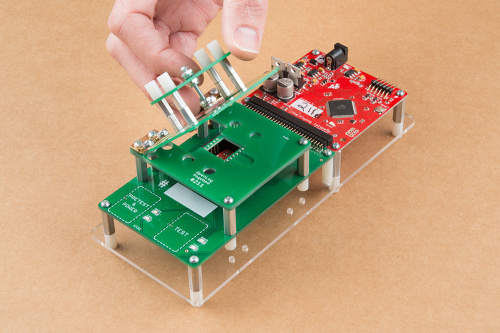 The Qwiic Twist was designed to get rid of the large mass of wires needed to implement an RGB encoder in a breadboard, enabling you to stop messing around with interrupt debugging and get back to your project! Utilizing our handy Qwiic system, no soldering is required to connect it to the rest of your system. However, we still have broken out 0.1″-spaced pins in case you prefer to use a breadboard. Welcome to the yearly celebration of deals! We’ve kept it simple this year by just taking 20% off most of our catalog. Take some time, build a cart and enjoy a flash deal-free existence! We may run out of a few items if you wait too long though, so don’t wait until Monday if you’ve got your eye on a particularly shiny new board. Check out rules at the bottom, and here’s a list of top products on sale to give you some ideas! Please Note: We will be working hard to get as many orders out as possible, but we cannot guarantee same-day shipping for the sale days. 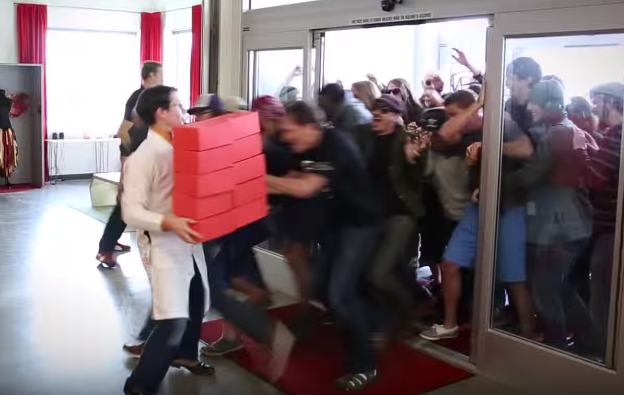 At least you don’t have to rush a store! 11 October 2018 / by W.P. 04 October 2018 / by W.P. 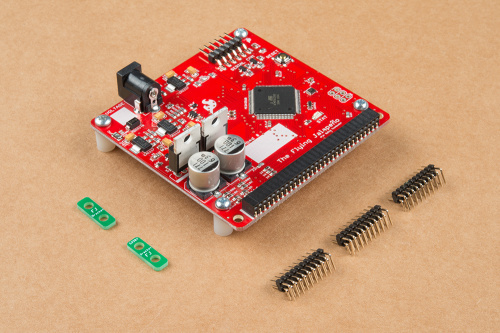 Over the years, SparkFun has become our “Staples” for electronic gear at GroupGets. 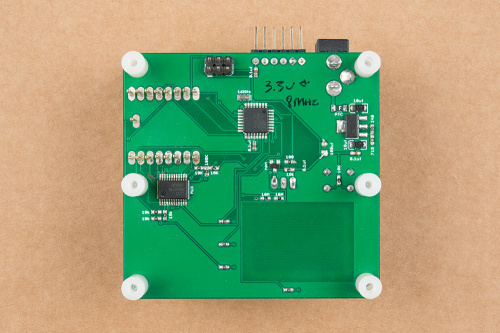 It’s where we find ourselves grabbing the basics, like antennas, ESPxx Thing Wi-Fi boards, FTDI breakouts and rechargeable batteries with JST connectors. 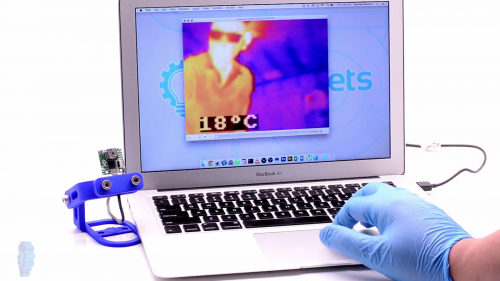 These items are not the new hotness in electronics, but they certainly help enable it. Below is a go at narrowing down our three favorite go-to’s, in no particular order. Number one is the Sparkfun Third Hand Kit. On top of being well… handy, it was also designed by a friend and former colleague of mine, so that’s an added bonus. 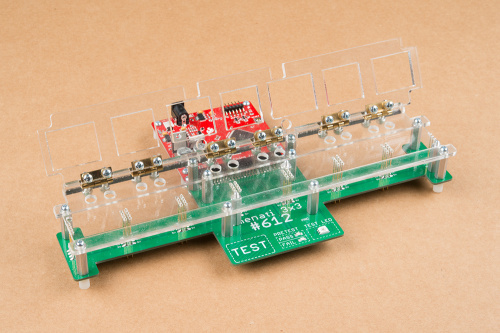 “Helping hands” rigs are ubiquitous to hold your boards for soldering, but the Third Hand Kit has more flexibility and a wider range of motion than the standard options, and doesn’t have that funky magnifier to get in the way. Crafty veterans prefer to wear a magnifying visor instead anyway. High-five to Ryan Straughn for creating this super useful and clever system, just one of many in his bag of tricks. 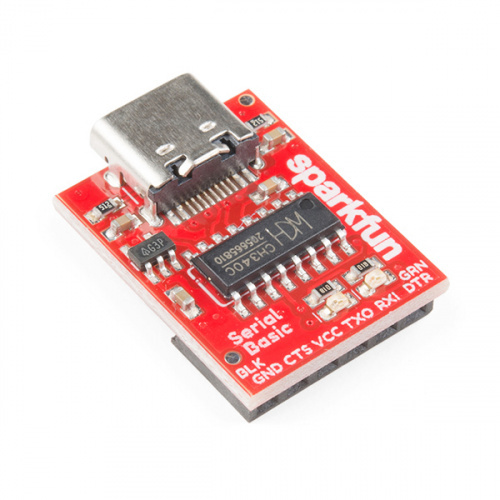 Next on the list is the SparkFun ESP8266 Thing Dev Board. 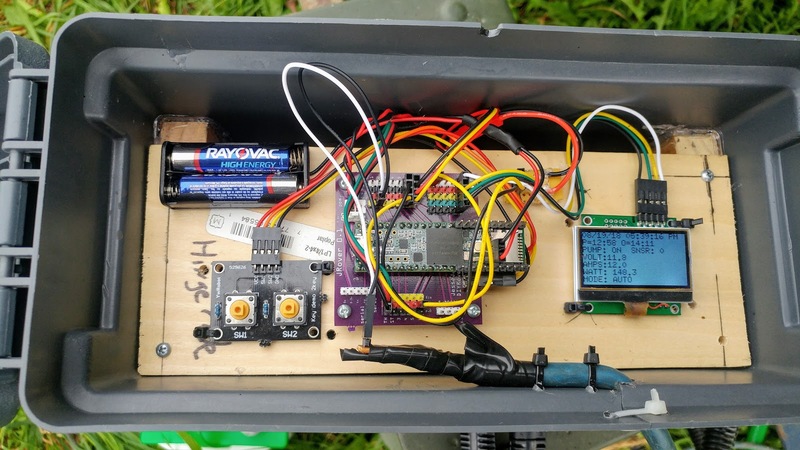 It’s dirt simple to connect up a sensor to it and stream its data to the web. What we really appreciate about it are SparkFun’s quick and easy tutorials to get up and running quickly with it, like this one. This also makes us comfortable giving them out to students and budding engineers when we moderate hack-a-thons, to make their first edge-to-cloud experience as painless as possible. There are multiple versions of the Thing for your ESP of choice, but we love how single-purpose they all are. 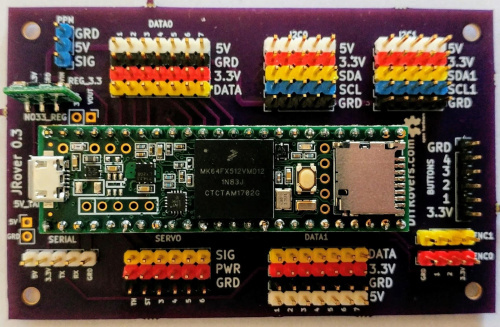 Many hardware developers get intimidated by cloud apps but the Thing greatly reduces the angst when wanting to get your data online for a demo or proof-of-concept. 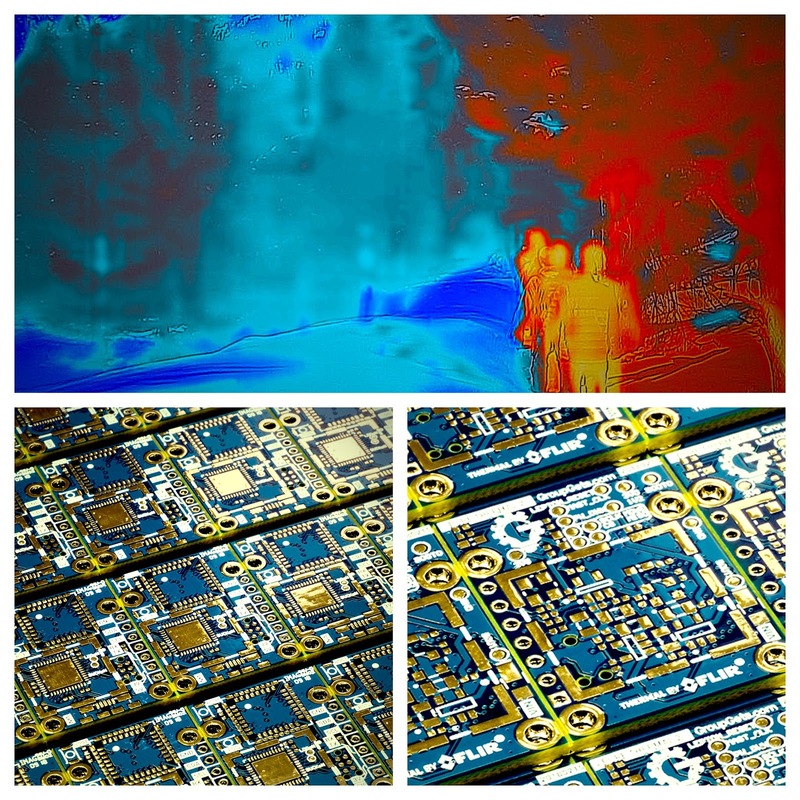 Last but not least, with just a dash of an obligatory shameless plug warning, we obviously use the GroupGets PureThermal 2 FLIR Lepton Smart I/O Board (aka “PT2”) on the daily, since we designed and produce it. The goal of PT2 was to make application development with the FLIR Lepton LWIR core simple by putting an STM32 on board to output thermal video as a USB video class (UVC) stream. With PT2, you don’t need any other board to see its video output; just plug it into a USB port on any macOS, Linux or Windows computer. You can view its video with most open source video viewers like VLC or our own open viewer, GetThermal. Whether we are putting PT2 in some strange test scenario for a customer, adding new features to its firmware or making 3D-printed cases for it, you will often see its thermal video output on some screens at our HQ. 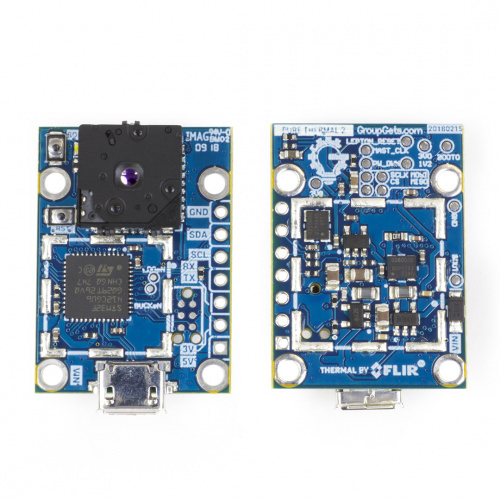 SparkFun was our first ever distributor years ago for what we called the “classic” FLIR Lepton breakout board, which we also designed and later licensed to FLIR. 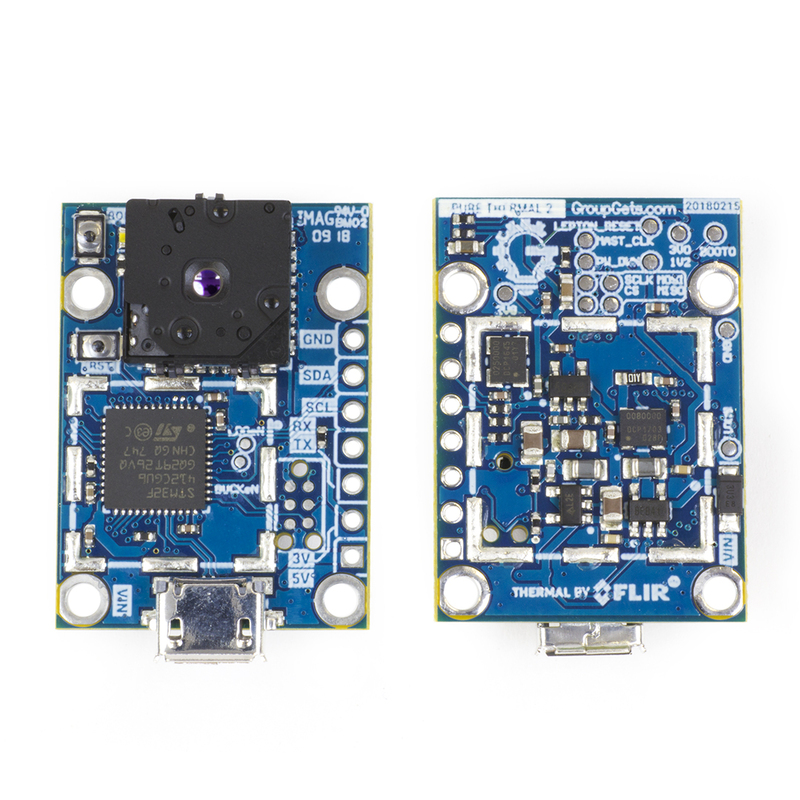 It’s the same board used in the FLIR Radiometric Lepton Dev Kit, and requires an external development board like a Raspberry Pi to operate. Both boards have their unique place in the evaluation and app development process with Lepton, and many professional developers use both. 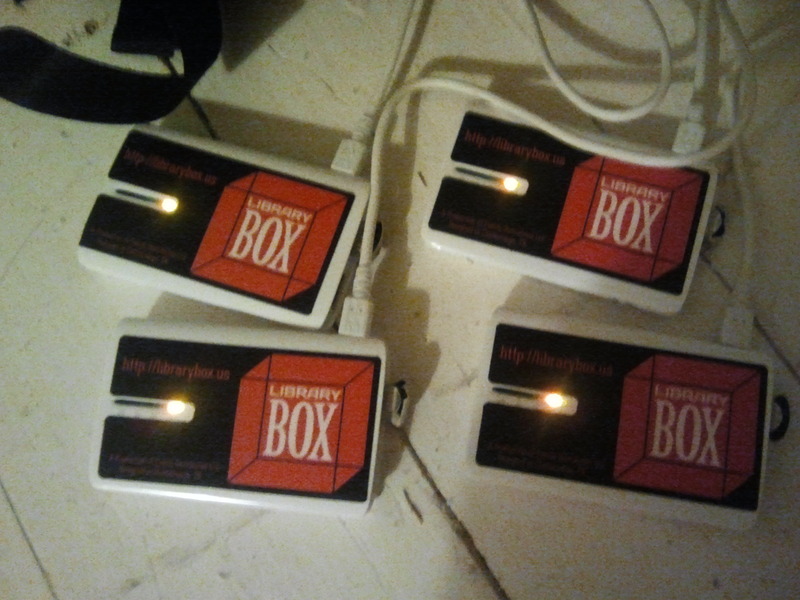 So there you have it – a brief glimpse into what’s inside those red boxes on the shelf at GroupGets. 21 September 2018 / by W.P. Hello, my name is Adam Carlson and I am addicted to learning. No really, I am, and that is the fun part! Because of my addictions to learning and creating things, engineering and design were a natural fit. If you couple this with a love of aviation, you get an aerospace engineer. Today, I work for GE Aviation designing jet engines, though because I love learning, I did not stop with aerospace engineering. In my free time, I have taken up learning other branches of engineering. I had, for many years, an interest in electronics. Back in about 2010, I was tired of people telling me that what I wanted to do in electronics was not hard, they just did not have time to help me. I asked myself, “How hard can it be?” (Yes, I know that this is a dangerous state of mind when coupled with a desire to learn.) So I set out to learn electrical engineering. thing; yes, we do have submarine races (it is not just a euphemism); and yes, some can fire torpedoes. could easily be simplified and improved upon with the addition of electronics. from scratch. At the time, there were not a lot of resources that were easily available. 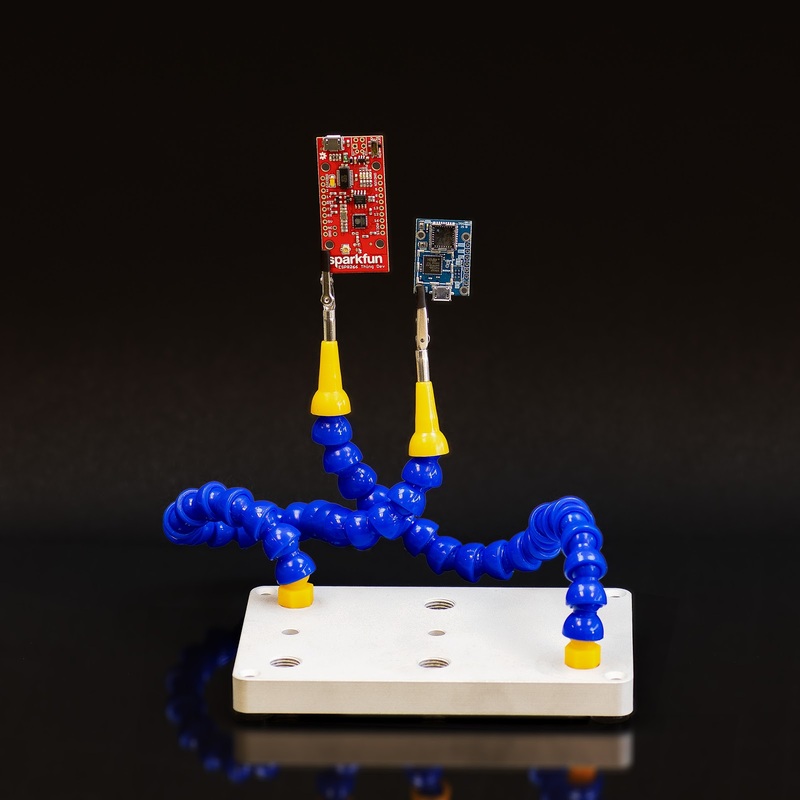 Arduino was really just beginning getting legs, and had not yet achieved the recognition it has today. and get 100 of everything? These things may seem like simple questions to most, but to me at the time, they were not simple. price point. They have many advantages, including covering a very large bandwidth of signal spectrum. case will be 3D printed and lined with metallic tape to give the enclosure shielding properties. Why go to all this length to get a VNA up and running? Well, for starters, I had a few hundred dollars that I could spare, but not a few thousand dollars to get a “real” VNA. Second, I am addicted to learning. Third, and this is the actual technical reason, submerged antennas not only are too long once submerged, but they go through a change in impedance. There are very few papers out there that will help calculate this. There is software that could be used, but once again, this type of software tends to be tens of thousands of dollars for a license, and that is hard to justify on a hobby budget. So instead, we will go back to old method of using basic principles to get close to a design solution, then use testing to refine that solution. I will let you know what I come up with once I am done. 09 September 2018 / by W.P. Every year for the last seven years I’ve ventured to Ohio for the National Robotics Challenge. It has become one of my favorite events and I think it’s a unique and powerful example of an “open” event in American education. 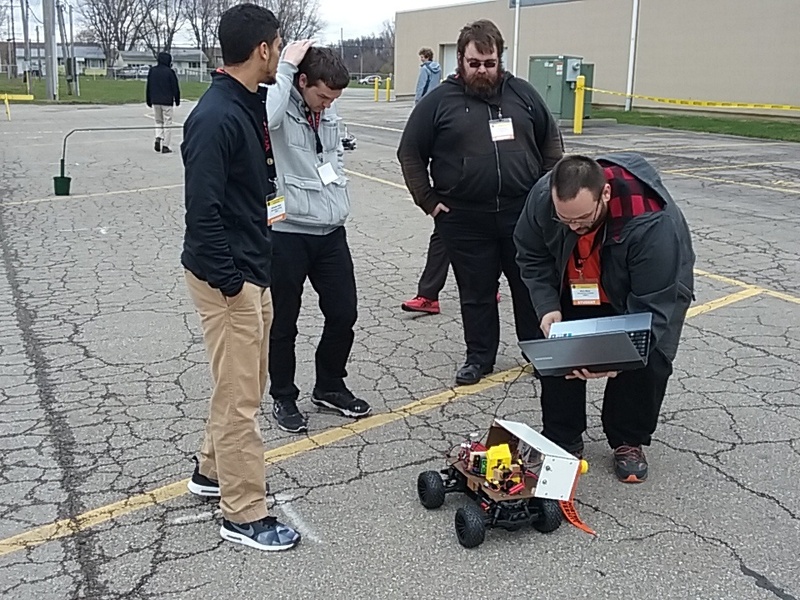 “National Robotics Challenge began as the Society of Manufacturing Engineers Robotic Technology and Engineering Challenge in 1986, under the guidance and inspiration of Tom Meravi, Associate Professor from Northern Michigan University and the late Dr. James Hannemann. The competitions developed into one of the premier robotics and engineering events in the nation. Tragically, Dr. Hannemann passed away suddenly in July 2001, and in 2003, SME announced that the organization was unable to continue sponsorship of the event. 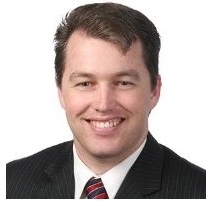 I met Tad Douce in Baltimore in 2010, and I became fascinated by what he was doing around open robotics and education. From my first visit in 2012 it became clear that this event was special. 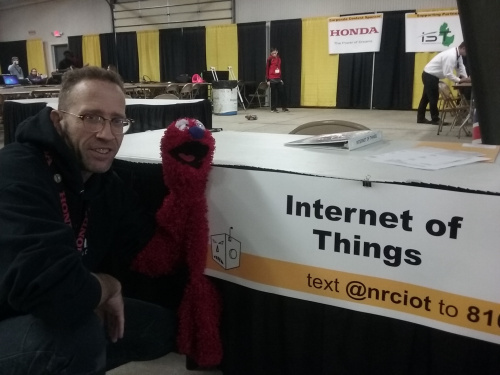 I was blown away by the range of platforms and application that was in evidence at NRC. The first year there was a hacked datalogger from a total station survey instrument, running Windows CE next to a LEGO Robotics controller. Like they say at Bonneville:“Run what you brung”. 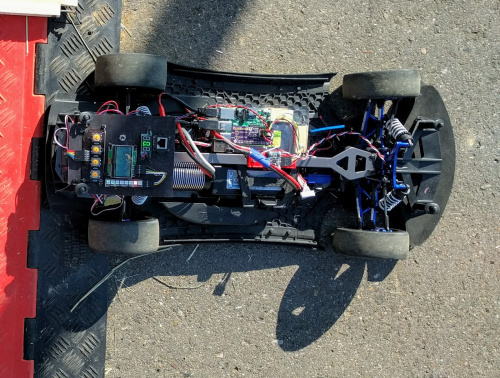 Through the years, the contest has come to embrace an autonomous vehicle contest, which is based on SparkFun’s annual contest. The autonomous vehicle portion is attracting both university and high school teams and grows every year. Also running at the event is an IoT challenge based on content SparkFun has worked on with the organizers. There are game development and interactivity challenges for middle and high school students that SparkFun is also proud to have developed. 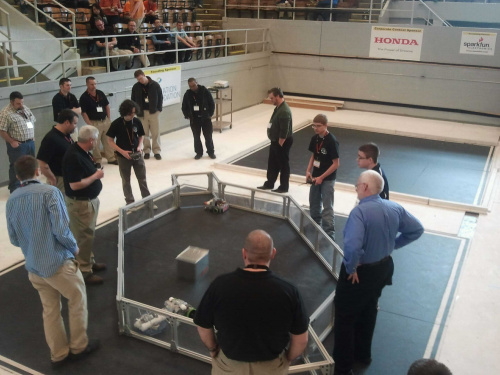 The NRC has seen huge growth in its combat robot contest, and this contest and the sumo robots, as well as Botball, are always a crowd favorites. In addition, we usually offer an open wireless cryptography challenge with cool prizes and action-packed fun! The manual for 2019’s contest, held April 11-13, is a fantastic place for educators to aim with their classes. I’m already planning for 2019 and looking forward to another great year of competition! 22 August 2018 / by W.P. For longer than I’ve worked at SparkFun, there has been a holiday tradition with our marketing team – we call it Secrete Santa. Yes…secrete. Long story short, around a decade or so ago a previous employee misspelled secret, and it’s stuck every since. Anyway, Secrete Santa isn’t your normal find something you want to get rid of and pass it along gift-giving event. Secrete Santa is more of a competition of who can give the best gift. If you can make a thoughtful enough gift that the receiver sheds a tear, it’s a win. This year I ended up drawing the name of a certain coworker who’s very into collecting crystals, minerals and the like. I decided to make her a display stand where she could beautifully display and light up her specimens. If you have seen my previous posts (DIY Sunrise Alarm or Smart Backlit Mountain Scene), you know that I enjoy mixing woodworking with what little skills I have with electronics. As long as it looks good and functions how I intended, for me that is a complete project. I wanted to keep the display sleek and simple, so I used walnut with a small curly maple inlay. If you would like to see the dimensions of this, I’ve included this SketchUp file for those interested in building one themselves. Let's face it, no one wants to see a bunch of electronic components as part of their home decor. I cut three 1 ¼-inch holes with a forstner bit in the top to allow the light to come through. Let’s face it, no one wants to see a bunch of electronic components as part of their home decor, so I had to be able to hide the electronics through the holes. This involved turning the stand upside down, sealing off the holes, and pouring around a quarter-inch of epoxy with gold crafting flakes mixed in. That was enough to hide the electronics and allow the light to pass through. 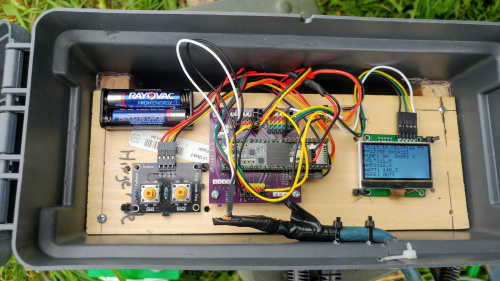 When it came to incorporating the electronics, I chose our SparkFun Lumenati 3×3 boards, a SparkFun RedStick, a barrel jack connector and a 5V wall adapter. 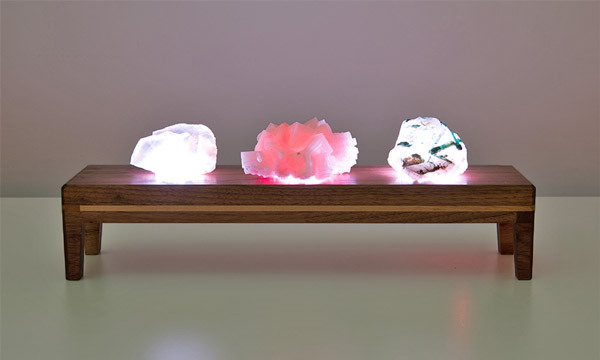 The Lumenati boards are pretty straight forward to chain together, and the nine LEDs on each of them provided plenty of light. I simply hot glued the edges of the boards to the edges of the holes to hold them in place. The small form factor of the RedStick was perfect for this project, and the fact that it loads as an Arduino Uno was perfect for me as that’s pretty much the only board I’ve had experience with (it’s probably time to get outside my comfort zone). What I originally intended to do was to have the LEDs randomly and subtly fade up and down in brightness level. I found a few sketches out there that were close to what I was looking for, but frankly after I tested the different effects with a crystal of my own, I thought that my gift recipient would prefer a steady white. If I were to make another display for myself I might add a button to toggle through different colors and effects. That said, even having a microcontroller at all for this project might be overkill, but hey, I work for SparkFun, so it’s cool. Our 2018 Secrete Santa gift giving extravaganza has come and gone and just may have been the best one yet. 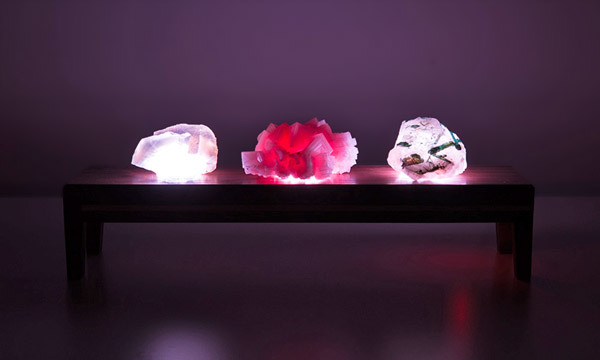 While I’m not sure if a tear was actually shed, I would still consider this gift a win as it is proudly illuminating minerals atop her collection. If memory serves me correctly, I believe she said, “I think I might cry.” Dang, so close. 13 August 2018 / by W.P. It’s fun to be on the quality control side of things. Not only do we get to play with all the new widgets ahead of release, we are constantly faced with new challenges and pushed to innovate testbed design. Sometimes new products require new features on a testbed, and that pushes us to innovate. Sometimes we discover a reliability issue in production, and that pushes us to revise hardware to make something more robust. We’ve progressed a lot over the years. Let’s look back and highlight some of the innovations that allow us to design, build and code new testbeds really quickly. We used to have some fairly finicky test fixtures back in the day. As a production tech in 2007, I remember very carefully handling the fixtures to make sure I didn’t break any of the many, many green wires (and I was lucky if it worked 50 percent of the time). Test fixture from 2008 using bare male headers to connect to the product…eeek! 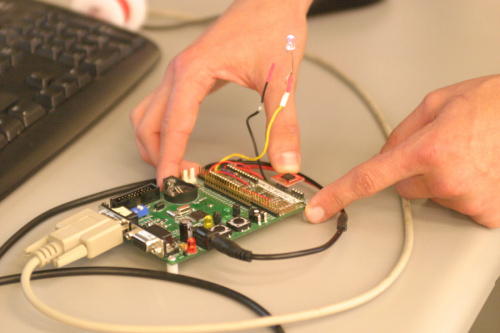 In 2009 (ish), we started laying out custom PCBs for every new testbed. This was nice because it kept the designs small and self contained. Another advancement here was using pogopins to make a nice temporary connection to the product. This style of testbed design actually proved to be the “norm” for quite a while. At the time, and still to this day, we build all of our test fixtures by hand with an iron (even all the SMD parts). We just couldn’t justify ordering a stencil when we could get by with an iron and a steady hand. Even if it did have some more difficult parts that require hot air to place, we wanted to keep our rework chops up to snuff! Here we have a stepper motor driver testbed. This is a good example of how we were able to use an Arduino Pro Mini as the main “brain” of the testbed, and then add the additional components needed to a custom PCB layout. This approach to testbed design became known as the “modular” approach, and cut down on the SMD work needed to assemble a testbed. It was also nice to know that production had tested the Pro Mini on your testbed, cutting down on any troubleshooting when you first power up. Here is a second example of a “modular” designed testbed, except this time we needed more GPIOs. This required using a Arduino Mega Pro instead of the Pro Mini. This again helps cut down on assembly time, although soldering up all of the PTH headers on the Mega Pro Board, and its mating female headers on the testbed, still does take some time. You may notice that this has quite a mix of color in the PCBs. I seem to remember having to rush order this from OSH Park in order to keep up with the Free SoC2 product launch schedule. Thanks OSH Park!! As we designed more and more testbeds, we found that they needed similar things. This is why it made sense to make a single design that included most of the features we needed, and then make custom “daughter” boards that are specific to each product. 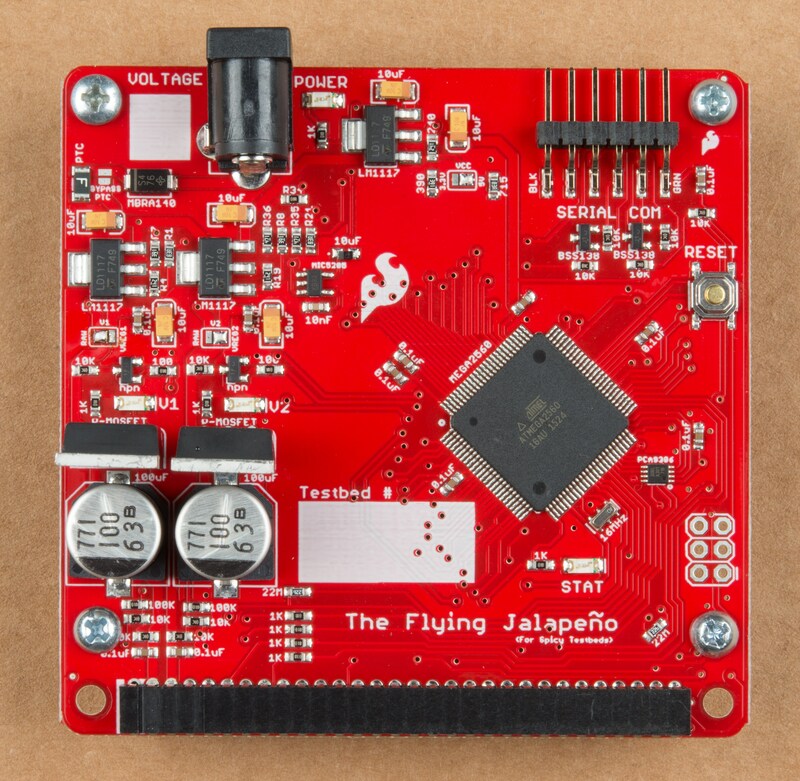 The Flying Jalapeno testing tool in all its glory! Above, is our in-house designed Flying Jalapeno. 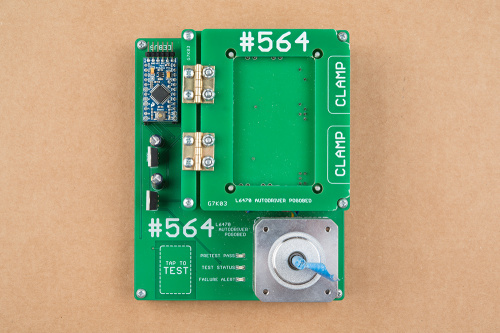 We use this on most new test fixtures, and it dramatically decreases testbed design and assembly time. 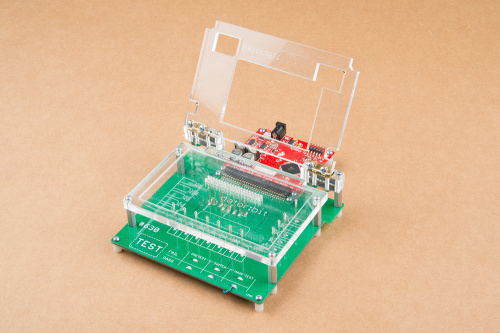 Stay tuned for a more in-depth look at the hardware design of this tool, and the accompanying Arduino code library. As you can see above, this testbed is made up of two parts. 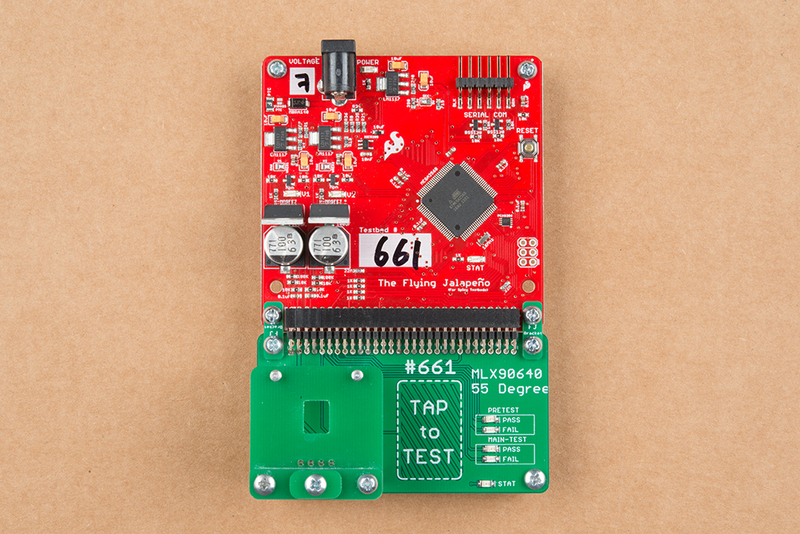 The top section (the red PCB) is the Flying Jalapeno, and the bottom section (the green PCB) is the custom daughter board for the product. 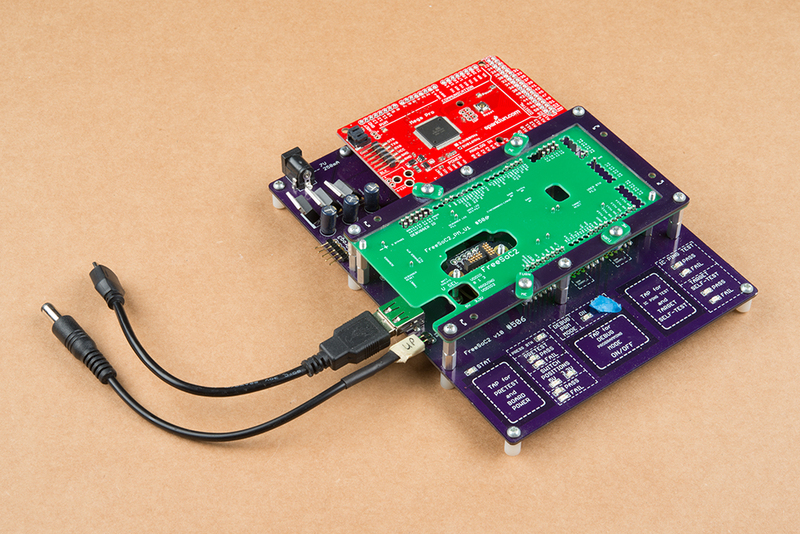 This particular testbed is designed to test the SparkFun IR Array Breakout. Because we receive the Flying Jalapeno assembled (and tested) from production, the assembly time for this test fixture is reduced to simply building up the smaller bottom section. That’s just a 2×30 header, five LEDs and four pogopins. Piece of cake! Here is a fairly recent testbed design for testing the Lumenati 3×3. Occasionally, we will cut certain layers on our laser cutter using clear acrylic. 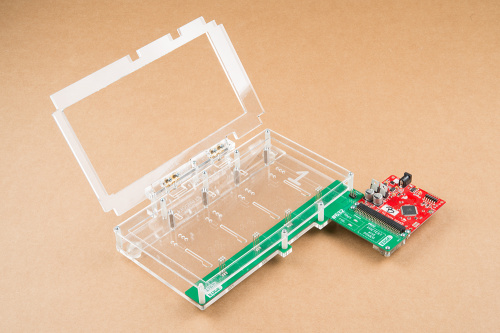 Not only does this look slick, but it saves us money, because previously we would have been ordering those layers from a PCB fab house and that can get pretty costly for large testbeds. Also, this allows us to fine tune the laser-cut layers in house. We can tweak the design as necessary and have a new part cut in just minutes! Join us next week in a couple weeks as we give a more in-depth look at all of the hardware choices inside the Flying Jalapeno, and dive into the accompanying Arduino code library. For a sneak peak, take a close look at the following picture, and see if you can spot any design flaws. There are actually a few things that we plan to change on a future revision to this design, but I challenge you to find as many as you can. The first commenter to spot the flaw I am thinking of will get extreme street cred and I will personally mail you a Flying Jalapeno! Also, if you have any testbed design stories to share (I’m looking at you, #773), or any questions about SparkFun testbeds, please feel free to post a comment below. Thanks for reading and we’ll see ya next week in a couple weeks! Note: Sorry for the schedule change, but the Part 2 of this post is actually going to be postponed to early in the new year. We have a couple other great Enginursday posts near completion that are holiday themed, and so we'd like to release those in the next couple weeks. Originally, this testbed-focused post was gonna be a single article, but I just couldn't stop typing and had to split it up Thanks for understanding and happy holidays! 06 August 2018 / by W.P. Until recently, beyond exploring Arduino’s “Use External Editor” preference, there wasn’t much to be done to add more functionality to the Arduino development workflow. That all changed with the release of Arduino CLI. Arduino CLI is a command-line software tool that features board and file management functionality plus compilation and programming tools. 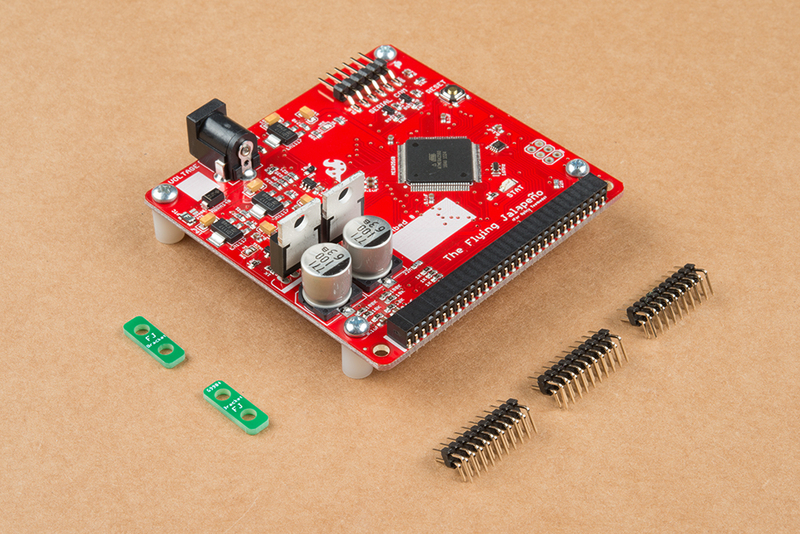 Whether you want to download a new Arduino library or upload a compiled Arduino sketch to a RedBoard, the Arduino CLI is there for all of your scripting and command-lining needs. 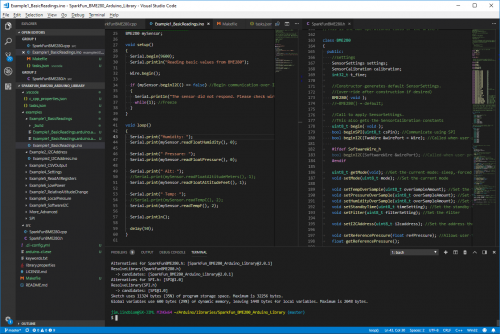 Taking it a step further – combined with an IDE or editor (like VS Code) – Arduino CLI can become an integral part of a powerful, DIY Arduino sketch, library, and core development environment. 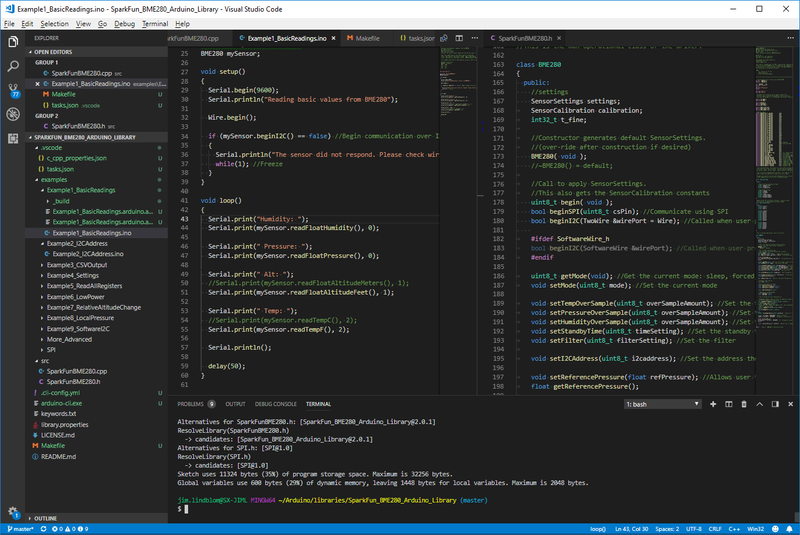 The tutorial explains how to pair VS Code with Arduino CLI to get the best of both development worlds: a modern IDE and the simplicity of Arduino’s API and board support.